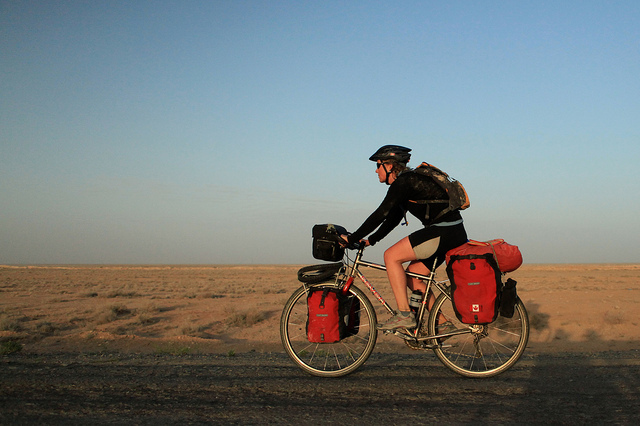 In 2011 Kate Harris and her friend Mel set off from Istanbul to begin a journey on the fabled silk road trading route. It was an adventure that lasted 10 months and covered nearly 10,000 km as they cycled in 10 different countries as well as the forbidden Tibetan plateau where they skirted checkpoints and did their best to avoid Chinese authorities ultimately completing their journey in the city of Leh in the Indian Himalayas. You can read about this self-supported adventure in Kate’s new book Lands of Lost Borders – A Journey on the Silk Road and check it out online at cyclingsilk.com. Kate Harris, welcome to The Pursuit Zone.